COOL was born in hope of becoming a bridge to let the art lovers all over the world inspire each other, link together as one, and create a new future in arts. The main contents consist of interviews of both New York-based and international artists and creators, special feature articles, art reports from around the world, reviews and column series. We contribute to the cultural exchange through arts and to the development of the art industry so that people in the world can enjoy arts casually and New York and major cities in the world can connect through the media COOL. Jennifer Muller/The Works presents its 35th Anniversary Season featuring the highly-anticipated world-premiere of Bench, a Joyce 25th anniversary commission; company favorite Momentum and a ClassicWorks revival of Tub (1973) in Program A. The engagement will also showcase The Joyce premieres of Aria (2008) and Edge (2007); and the world-premieres of Tangle and Walk It Off in Program B. At 35-Alive!, this Works show is not to be missed. Le Théâtre de la Huchette is a small theater with 86 seats located in the students’ quarter of Paris, Quartier latin. In 2007, at this theater, Eugène Ionesco’s “La Cantatrice chauve” (The Bald Soprano) had its 50th anniversary. Mr. Nicolas Bataille, who has kept producing this play since its first performance, talks about numerous exciting adventures he has experienced to date. 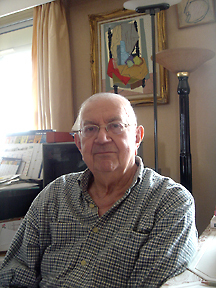 Mr. Bataille was born in Paris in 1926. When he was young, he was deeply impressed by Operetta which his grandmother took him to see. When he was 17, France was occupied by Germany during WWII. Since the students who attended national educational insitutions were exempted from forced labor in Germany, he attended Conservatoire National Supérieur d’Art Dramatique. In addition, he also learned performances at the acting school, run by Pathé, a movie company, and at Cours Simon, a private performing school established by the actor, René Simon. At Cours Simon, he met Juliette Gréco who later became the singer representing France, and the actor, Gérard Philipe. They often gathered in Saint-Germain des Prés to discuss films and performances. One day, he met Jacques Prévert, a poet/scriptwriter who had recommended him to appear as an extra in the movie of Marcel Carné called “Les Enfants du Paradis” (Children of Paradise) (1945) whose script Jack wrote. After that, Mr. Bataille was shocked to see “The Bald Soprano” written by Ionesco and he performed this program with his group. Looking at the title, we could guess the audience would expect a hairless chanteuse to appear, but that idea would be turned over. The script that could be perceived as word play continued like this. “An English man, Mr. Smith who sits in one of the English armchairs by an English fireside, wearing English slippers, puffing away an English pipe, and reading an English paper.” and the unmatched conversation between Mr. and Mrs. Smith and Mr. and Mrs. Martin went on and on. As the program symbolizes, “The Bald Soprano” had no context. This play that completely broke the theory of the theater performances of those days, had its 50th anniversary at Le Théâtre de la Huchette in 2007. Ionesco, who brought “The Bald Soprano” to the world, had later become a scriptwriter representing French “The Theatre of the Absurd” with Samuel Beckett. In 1967, Le Théâtre de la Huchette was invited to Japan on the 10th anniversary of “The Bald Soprano” and the play was performed at the national theater. At that time, it was very rare to have a small French theater group visit Japan to perform. Since then, Mr. Bataille became fascinated by Japanese theater performances and cultures, and Japan had become his second home. During his stay in Japan, Mr. Bataille had numerous encounters except the producers of Underground Theater. One of such encounter was the late Hisao Kanze. As Hisao saw “The Bald Soprano” at Le Théâtre de la Huchette in Paris, he was very impressed and invited Mr. Bataille to the lesson of No when he visited Japan. From co-starring with Brigitte Bardot and Marcello Mastroianni for “Vie privée” (A Very Private Affair) (1962) directed by Louis Malle, Mr. Bataille has appeared in a number of movies. However, he feels great attraction for his life as a producer. 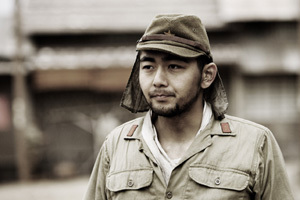 Yuki Matsuzaki is an actor, who performed as "Nozaki", a junior technician, in the movie "Letters from Iwo Jima." He came to the United States to show that he is a strong actor who can perform internationally. He is working toward his dream yet he struggles with his natural positive character. 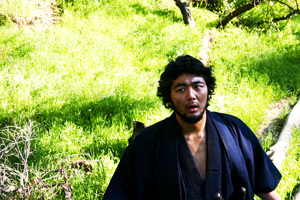 Matsuzaki showed his serious acting on a big screen. Actually he started to learn acting at 7 years old. He belonged to the acting group for children "LABO", that his mother ran for 11 years, and performed in a comedy program for children. He came to the United States to learn acting in a famous school. Although he made for Virginia, but schools rejected him because of lacking the qualification for applying to them. Even though he moved in New York next step. Something happened and his entire fortune was stolen and he was out of money. After the incident he performed on the streets in and around Times Square station and got little money for his life for a while. His life in New York didn't assure him a place to sleep. He visited Pennsylvania to join the screen test of a movie, Black Ninja. Matsuzaki finely got a semi-central player by winning out of 600 people. After that Matsuzaki move to his basement in Hollywood, the capital of movies, and willingly continued to act as an actor. He performed in Community Theater and joined independent movies. His debut in a mainstream movie, Last Samurai in which Tom Cruise performed the leading role, as one of constituted authorities in 2003. The casting of the movie Letters from Iwo Jima, directed by Clint Eastwood, was settled on a certain day suddenly. Matsuzaki had to join this movie without the details of the movie and devoted himself into the making of his part. His enthusiasm in making his part was remarkable. He was so stoic that he changed his diet to perfect his character. He imagined an actual cave and listened to a CD that included sounds of air –raids. He sat on the floor of his bathroom, while he stayed in the hotel, to act the scene of a cave in the movie. Matsuzaki's passion for acting was inscribed in the director, Clint Eastwood's memories. There is a story that Clint Eastwood suggested to continuously add Nozaki junior technician scenes. Matsuzki returns to the memories of a director, Clint Eastwood and the mood of filming this movie at the time when they filmed it. The filming seemed to follow his policy "Acting is most brilliant for the first take. I was never directed any direction by the director. We started to perform at once after a short explaining of each scene. The more pressures we felt, the more the director believed in our abilities at acting. But it was very comfortable." A chorus of acclamation and nonstop applause— came at the site where surrounded by great cheers, Fred Benjamin, who was sitting on the wheelchair, appeared on the ground floor below the stage. He slowly stood up, turned his body toward the audience, and responded to the audience with a smile on his face, lifting his one hand. In fall 2003, Benjamin came down with a cerebral embolism suddenly during his visit to Japan. He was in critical condition at one point. It’s been about a year and half since then. He made a miracle comeback; his first show after the incident ended within great success. Although Benjamin spent nearly six months in hospital, he composed a full choreography for this performance using his everlasting wit. I asked Benjamin about his enthusiasm for the performance and his passion for dance. COOL: Could you tell us about yourself? Fred Benjamin: I am from Boston, Massachusetts, and I started dancing at a very early age. I moved to New York in 1962 to further my dance career and have been here ever since. C: What made you interested in dance? FB: When I was four years old my sisters took dance lessons. My mother had to bring me to them. I'm the youngest, and she had to keep an eye on me because I was a mess. So she put me in the classroom. That’s how it all started. C: You've been in the dance industry for a long time ever since. What are the important factors for you as a dancer? FB: Training in ballet class was very important to me. It kept me going for many, many years. And I studied ballet in NY and then did the musicals "Hello Dolly" and "Promises, Promises". They got me into my musical career, and while I was in "Hello Dolly" I started experimental (dances) with the company by own, and that was in 1968. I just kept going and going and going. C: What is dance for you? FB: It's hard (to explain). 'Cause it's what I can do all my life. Dance is what keeps me going and going. It's that important to me. It keeps me sane. C: For this show, you use pretty modern songs from artists such as Destiny's Child, R.Kelly and Chaka Kahn, and also modern jazz songs. Do you choose songs by yourself, and how? FB: Yes. I choose songs by myself. When I hear music, it starts to speak to me, on what to do dance-wise. C: You mean lyrics speak to you, or music? FB: Mostly music. What artists are trying to express, not just the words, but from the voice itself. C: Where do you get your inspiration? FB: I don't know, man. It's just there. When I hear music, I almost see a picture in my head. And then I know I want to use the particular music for something. Sometimes I listen to the music and I just see nothing. It's just for the enjoyment of music. Because listening to music is almost like work I can't make myself do. But it happens that I listen to the song and it makes me see pictures. Then I can't control that. It just goes. C: So you visually see physical movements of bodies, rather than just a feeling or emotion? FB: Well, I feel while I hear, (and it's like) movements, and so it's like music paints a picture for me so that I try to do that for the audience. It's like painting the picture that I saw in my mind. C: You had a stroke almost 3 years ago in Japan, and since then you went through surgery and medical treatments. It must have been a long time for you. How did it affect you? Do you see any differences in your choreography before and after the stroke? FB: Yes indeed. But I don't see any differences. It's continuous to me. I'm the same person. Well, I think it might be a little different. It's just that I have to do it more mentally (now). And I was mostly used to be doing stuff physically and be able to show them what I want. Now I have to do verbally. So I learned how to paint pictures with the words to show you, like, “I want to look like this”, and I had to make my own kind of vocabulary. In fact I showed them what to do (by words and drawings) but haven't just verbalized everything. I am very happy still. C: This is your first time that you have done a performance after the stroke. How do you feel about it? FB: I'm pretty happy. And I'm grateful that they came back to do this for me. C: Your students here have such diversity. What do you think about those young dancers, who are trying to be successful like you, and those who want to start dancing? FB: I think they are very, very brave 'cause it's a hard world to conquer, to make it possible. So I have a great respect for upcoming dancers. I'm not into race or anything. If I see within the dancer the love of dance, that makes me interested. C: What is your next plan in your career? FB: To keep doing constant work. I danced many dancing. I have done some script dancing. I've written dramatic plays. And I liked that but it's not quite as exciting or satisfying as dance. Born in Boston, Massachusetts in 1944, Fred Benjamin began dancing at the age of four. He danced at Talley Beatty Company from 1963 to 1966. He was strongly influenced by Talley Beatty. Later on, Benjamin moved to New York City and founded The Fred Benjamin Dance Company. He established the new genre, called "Ballet Jazz," which contains Modern Ballet's elements of Tally Beatty. 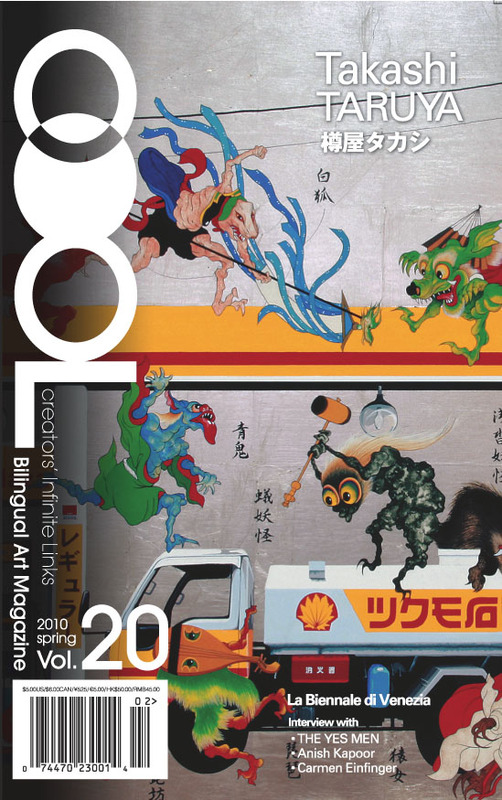 COOL Vol.20 Special Issue NOW ON SALE!! !